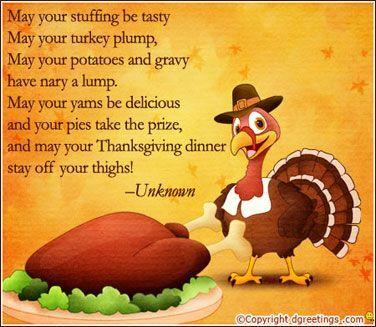 Thanksgiving is a wonderful holiday because it is diverse--it means so many different things to different people. What does it mean to you? As an estate planning attorney working with clients for the last 38 years on their wills and trusts Thanksgiving is often a motivator to many to accomplish their plans. Do you know why this is? In my experience the holidays motiviate us to think about our families and being thankful for family is often a feature of the holidays. 1. Protection of family members such as spouse, children and grandchildren. 2. Protection of oneself. Many clients seek to protect against illness and disability and this is considered in every estate plan. 3. Protection of property, money or wealth. This is always an interesting factor since the amount of what someone has is irrelevant. While the current definition of a taxable estate for 2016 is $5,450,000 and for 2017 $5,490,000 many people do not have estates that large. What amount would you have to make you want to protect it? Many clients seek to protect the property they have regardless of the amount. Whatever your reason for doing your will, trust and estate plan your reason is the best for you. I always recommend that clients consider the three areas listed above as they decide what is important to them and what to protect in their plan. As has been stated for generations, estate planning is one of the best gifts you can leave for your loved ones. Estate planning is never about how much you have, and always about how much you care for those you care for. This Thanksgiving I am thankful for my family, my friends, my law firm and the wonderful town I live in. I wish to you and yours a very Happy Thanksgiving!